Immediately after Gemma’s death, people began praying to her asking for her intercession for various needs. Gemma’s spiritual director, Father Germanus, began receiving numerous letters attesting to Gemma’s miraculous intercession on behalf of the faithful. By the time he wrote the first edition of her biography, he had received hundreds of letters. He added a few of these letters to the end of her biography. There lived in Rome a family totally devoid of religious senti­ments, like many others of the present time. The mother of this family had not been to Confession in 54 years. Her sons were liv­ing as though they were not Christians. Her daughters only, three gentle girls, remained good and devout and, day and night, deplored the sad state of their family, beseeching Heaven to have pity on them. Several influential persons were using all the means at their disposal to bring the old lady to a better state of mind, but it was lost time. God reserved this victory to Gemma. A good reli­gious, grieved like others at this sad case, had recourse to the Ser­vant of God with sighs and tears. She besought her with triduums and novenas. At length, she felt assured of success in her under­taking and went to see the obdurate old woman. She spoke to her of Gemma and touched her heart by telling her of the wonderful conversions wrought by the little Saint while living. Gemma car­ried the day! The old woman's heart was softened, she began to cry, and led by the Sister, she went to the church, made her Con­fession and received Holy Communion. She felt the consolation and soothing influence of God's grace in the depths of her soul from which it had been absent so many years; and, since that day, she has never omitted going morning and evening to weep and pray in that church, where she recovered the life of her soul. The religious, encouraged by such success, turned all her ener­gies to overcoming, by the use of the same efficacious means, the obduracy of the old lady's sons. "Gemma," she said, "will con­vert them also." She had hard work with the eldest son. After the first repulse, she returned to Gemma's feet. "And now, Sister," she said to her, "what is to be done? Are you not moving in favor of my sinner? Tomorrow, Saturday, you are to convert him for me." Heaven granted this request also, and the next evening he asked to go to Confession and received Holy Communion with such joy of soul that, up to this day, he declares that he has never experienced anything like it. A few days later, acting as an apos­tle, he brought a friend, a libertine as he had been, to Confession to the same priest at whose feet he himself had acquired happi­ness. "Now," the same good Sister writes to me, "the youngest brother remains. He has never been to Confession and is thirty years of age. He believes nothing and his head is as hard as bronze. I have put him also in Gemma's hands, and she will see to him. I have no doubt of it." “Yes, yes, chosen one of God, see to the conversion of all poor sinners. Say to Jesus, as you often said to Him in ecstasy while here on earth: ‘I wish all sinners to be saved; save them for me, o Jesus.’ And, as for the salvation of sinners, so for every other spiritual and temporal need of thy devout clients, Gemma of Jesus, be not invoked in vain!" -Venerable Father Germanus C.P. ".....Can You see that as soon as the day breaks I think of You? As evening comes, I am near You.....I am near You at every moment.......I love You, Jesus....."
Thank you St. Gemma for the beautiful gift of conversion that I am in the brink of receiving for my son. Please help him to fling into the arms of God in the most beautiful subtle way. Thank you !! Thank you for sharing your prayer intention with us. I too will pray especially for your son and will ask St Gemma to intercede for him. Please pray to St. Gemma for the resolution to some problems I am having with a certain person. Please, please pray to St. Gemma for the resolution to some problems I am having with a certain person. This person is a dear, dear friend and we seem to have had a communication problem. I will be sure to pray for the problems between you and your friend. Thanks for your comments. I will pray for you and your intentions. please pray for me through the intercession of saint Gemma for my husband to comeback home. i miss him so much, can't bear living without my sol mate. please Saint Gemma bring him back to me. I will pray for your husband's return and I sincerely hope others will join in prayer for this intention. I discovered St Gemma today & this is no coincidence. I have, for the past 5 years, been praying for forgiveness for my mom's murderer (something i am struggling to do) & have been suffering with a bad hip for 2 years. I know God steered me in her direction as she is the patroness of those seeking purity of heart (in my case forgiveness), loss of parents & those suffering with back ailments (my hip). I will start praying for her intercession & trust that God & St Gemma will heal me both physically & emotionally. Thank you for sharing a bit of your story here. I am very sorry to hear of the tragic loss of your mother. I pray that God, through the assistance and intercession of St Gemma, may help you to forgive the one who murdered your mom. You are right to pray for God's grace to help you with this. You can be sure that God is pleased with your prayer and your good intention. And may St Gemma also help you with your hip, for all things are possible through prayer. Please pray for an intercession for me and my family in this time of crisis. I pray for you and your intentions. May God strenghten you during this difficult time in your life. Please pray that Jeff K. gets offered a teaching job for the fall, and for the sale of our house. In thanksgiving for an insurance claim that finally was settled after three years and that my husband has a job. I pray for the intentions that you mentioned. Please pray for Kristin. Her ex-husband foreclosed on their house and then filed for bankruptcy. The banks are now coming after her. Her husband left her with nothing after he walked out. Please pray this can be settled without her having to file bankruptcy. Please pray for Jeff K. that he will be offered a teaching job for this coming school year. Thank you! I pray for Kristen's financial difficulties and also that Jeff K may get a teaching position...through Jesus Christ our Lord, Amen. My once very devout Catholic daughter (age 17) who was discerning a possible religious vocation, has fallen ill in mind and spirit. She has suffered severe anxiety,night terrors (a recurring dream of a "shadow" man),phobias,OCD issues,self harming behaviors, talked of killing herself,and has had delusional thinking. This has been going on for many months.Our insurance will not cover any psych care at all,(we are on a very low income and can't afford to pay out of pocket. No one else will help us!) and a regular doctor is treating her with 2 medications to try and alleviate her anxiety,phobias and sleep disturbances (she awakens in a terror and screams "No!!" repeatedly all night long. I believe there is a demonic issue at work here as well.We are all exhausted from worry and lack of sleep.I am not well, and I must get some rest myself.She has now declared herself an atheist (she believes what she is suffering now is due to her former Catholic belief in demons and religious "myth"!) We have prayed, others have prayed, and had a mass said. She is still not much better,even with the medications.She says she is afraid she will die if she goes to sleep! Please please pray, and ask St. Gemma to intercede for a prompt healing/deliverance miracle and her return to the Church as well.She (and we) cannot go on like this much longer. 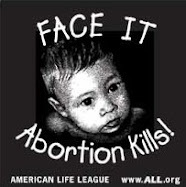 My mother's heart breaks for my child! I am really sorry to hear of your daughters struggles...what she is going through sounds like a very, very difficult trial. I will certainly pray for her, that she may be cured of this oppression, anxiety and mental anguish through the intercession of St Gemma. If there are evil spiritual influences involved as you suggest, then Saint Gemma can help--of that I am certain, having before me several recent cases of her spiritual help in this regard. If possible, please contact me directly at gdallaire1@gmail.com as I would like to send you a St Gemma relic card and a few St Gemma holy cards and also another item, if you would like. Be assured of my poor prayers for your daughters intentions. Dear Glenn, today is the first time I've heard of St. Gemma. What an amazing saint. If you would, could you please pray for my mom? She's only 69 years old, and is suffering a recurrence of thyroid cancer. This time the tumor is lodged between her esophagus and trachea. We already know they are going to remove the entire esophagus, the problem now is that one doctor thinks the tumor may have invaded the trachea as well. Our prayer is that this is not the case and that they can remove the entire tumor just by removing her esophagus, that she will have a successful surgery and make a full recovery. Tall order I know, but I also know nothing is impossible with God. My mom comes from a small town in Italy. Perhaps it was meant for me to find St. Gemma? Thank you and God bless you and yours. I am praying for your Mom and the thyroid cancer--that it may not spread and that it may go into full remission. May God grant it, and may He draw you and your family ever closer to Himself. boyfriend doesn't want to get married. Please ask St. Gemma to give my daughter a sign if she should stay with him or move on with her life. Please ask St. Gemma to intercede for our family. I pray for your daughter and her intentions, that God may guide and enlighten her as to His holy will in her life. I am praying for discernment in choosing the right saint for my confirmation on September 6th. Please also pray for me? Gemma is a favorite saint of a wonderful priest I know and respect which is why I looked her up to consider her and found out that her Feast day is my birthday, April 11th. I am also considering Blessed Theresa of Calcutta whom I got to here speak in Denver Colorado years ago when I was a teen, and St Anne Patron saint of mothers because I am a mother and that is my primary duty and love at this time. Thanks for your kind comments. I am glad to hear of your upcoming Confirmation and also of your devotion to St Gemma, Blessed Mother Teresa and also St Anne. I pray that God might enlighten you to choose the best patron Saint for you---of course you have to choose one, but you can certainly ask all 3 to be your special patrons, and I am sure they all will be happy to be with you in a special way. And may God bless you on your Confirmation! Thank you Mr. Dallaire. You brought a smile to my face. I beg St Gemma to plead with me to God for the soul of Gary Weller who is too old to be far from Jesus. I just came upon this page and St. Gemma Galgani at a time when I need an intercession. I have deep faith and I ask that St. Gemma intercede on my behalf to God to bless my daughter and keep her safe. Please ask that the situation she is in does not last and she is happy, healthy and productive. And please ask that I find happiness again. That I come out of this current situation with abundance of love and finances. Please pray for my 18 year old son, that through the intercession of St. Gemma, God will heal him from the severe pain of a broken back and lead him back to a life of faith and service. Thank you. 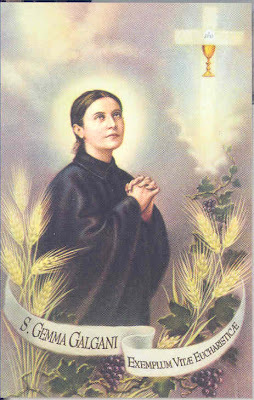 I do not think it is by accident that I found Saint Gemma 2 days before her feast day of April 11th. For the past month I have been struggling with my faith and my place in the world having lost my job and not being able to find my way forward. I feel lost and alone and afraid. In reading about Saint Gemma I find a new hope and will begin a novena asking for her intercession this morning. I ask now as well for the prayers of other believers. Thank you for your comments. I pray that St Gemma may be your special heavenly advocate and friend and may she intercede for you with Jesus and help you obtain a new job and for all of your other intentions. Dear St Gemma, I ask you for your help in the conversion of my husband Jim who is a former catholic but now is far from God leaved the house want the divorce and is acting with resentment and anger and hates me. Please bring him back home but first back to Jesus, change his heart make him humble and hopefully my husband go for confession and return to church. St Gemma please intercede for a young boy called Matthew who is suffering from a brain tumour. He has many wonderful people praying for him all over the world and for his parents too. His treatments have stopped working and I think only a miracle will save him now. If it's God's will, please pray for his recovery. If not, that his parents have strength to cope and that they encounter the love of Christ in their suffering. Many thanks. You suffered greatly with back pain and paralysis. It was through the miraculous intercession of the Sacred Heart of Jesus that you were healed and able to continue your mission of love. I have come to ask a great favor of you. Could you please ask the Father in Heaven to grant the favor I place with confidence in your hands. My mother has suffered for 15 years with chronic back pain. She has had over 5 surgeries and her back is now crooked. She can no longer walk for more than a few minutes at a time. She suffers greatly. I fear she will end up as you did, bedridden, unable to move. 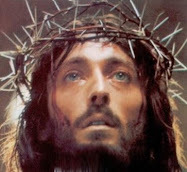 Please ask the Father to heal her body , mind and soul, so that she can be a testiment to His Love and Mercy. It was she who taught me to love Jesus. She prays for everyone else, but not herself because she feels unworthy of help and she feels this is her lot in life. She says she has nothing to look forward to in this life. Please intercede for her and grant this great favor. Please do not stop interceding for me until my request is granted. My mother is only 58 years old. She cannot work, and lives on barely nothing. Please have mercy on her. In the name of Jesus, I pray. Amen. I thank the Holy Spirit also for the inspiration given to make this wonderful website and that the creator of the website was listening and did what was ask of them! My prayer for St Gemma's intercession for myself is of a spiritual nature. Oh St Gemma, help me to learn to love Jesus as you do. To desire to serve Him in all things as you did. To pursue and preserve His presence in my heart at all times. OH St Gemma! Teach me - as your pupil, to recognise and avoid all occasions for sin, train me in the way of saying no things impure or unclean, help me to learn to pray in a way most pleasing to Jesus and do thou also oh sweet sister visit Lord for me, and show him how my heart desires nothing but to be wholly His. Thank You St Gemma Amen! Please pray that me and my soulmate may be together once more. We were expecting our first child and deeply in love, a love i have never felt so strong about, we decided to buy a home together so we could be a family. Shortly after moving in, within 2 weeks, she moved out stating she did not feel the same about me anymore. It was a total shock to me as she professed how much she loved me and how excited she was to begin our lives as one a few weeks earlier. Please allow our souls to connect once more and our love to be a holy love so that we can be a family once more, where i will be able to make her my wife in our Lords house. May the Lord Bless all of you who have posted to this comment board. I have been struggling to make ends meet and I need some prayers to St. Gemma for this struggle to end. I love God immensely thanks in whole to his grace that he has given to me. I don't know where else to turn and I'm at the end of my rope. 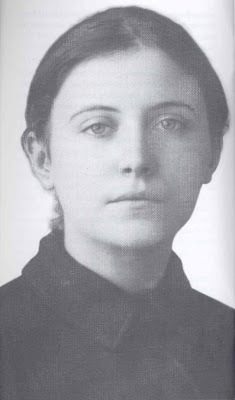 Please intercede for me St. Gemma Galgani. I love you dearly. Thank you Glenn for this wonderful website! It is a blessing. Firstly, congratulations on the upcoming birth of your seventh child! I am having trouble putting this into words but after reading St. Gemma's story I feel compelled to ask for her intercession for conversion of my husband back into the Catholic faith, for him to stop drinking, and for resolution with my family. It is a long messy story and I feel I am absolutely caught in the middle. I keep praying and asking Jesus for help. I know it is all in His good time, but my family is suffering needlessly due to actions/words of my husband and his failure to do the only honorable option available. If I did not know of what a good man he can be, I would be without hope; but I have already been blessed with a crack in his armor and can only hope for more from God. After reading St. Gemma's story I better understand the good that my own suffering may yield, I pray for this to end soon. Lord Jesus please help my family and save my husband. Thank You Lord, please comfort my brothers and sisters. Thank you for your kind wishes for the upcoming birth of our new little one, due in early March. I had never even heard of St. Gemma until 2008 when I wrote and received her pictures. I placed on in my car. My best friend immediately "fell in love" with her. Once, he, a lady friend of his, and I were entering a state park in Wash. State. At the gate the ranger asked us, "Where is the other lady that was with you.?!" Of course, the only other lady was the picture of St. Gemma. Glory to Jesus for all things. Please pray that I receive employment soon and that I receive much needed financial help in the interim. I need a miracle. Thank you. Keep me in your prayers. I am unemployed, looking for work. Pray that I get a job soon and a financial miracle. Thank you for your fervent prayers. God bless you. Hello. I ask for urgent intercession from St Gemma and all the saints that the Lord quickly provide funds for rent, utilities, urgent car repairs and food. We are in this situation due to long term underemployment and inherited debt.Our faith is wavering. May the Lord show Himself strong and present in this circumstances. 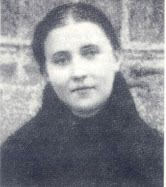 Dear Saint Gemma, I would be deeply grateful if you could please intercede for the healing of my injured spine. I am in pain for many years and wish it to stop. Thank you. Raymond. Dear St. Gemma, I ask you to help me with the total recovery of my wife. I ask your intercession for the removal of the pains in her right leg.May she be completely healed to the glory of God. Dearest Saint Gemma, my daughter Emily has her confirmation coming up in September and we have chosen you as her saint. I feel like you have come to us to help the family become closer to God, I cannot explain the complete feeling of peace and joy when we found you. Please prayer for our beautiful daughter and guide her through her troubles at school and bring her closer to God everyday. Your eyes are very familiar, till we meet again. love from Emilys mum Emma. St gemma please intercede for me and my husband with our present financial difficulty.Please pray a favorable result of our court date for bankcruptcy on apri 2,2018.This our only venue.I pray our financial situation will improve.I also pray for Tracy help on april 2 for her court date with her problems with friend of her boyfriend.She is a single mother and need much guidance and direction.St gemma pray for us! 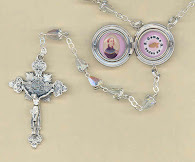 Please St. Gemma help me overcome what I feel I am plagued with dark forces around myself and my family. I am now pregnant after losing my newborn son almost two years ago, and my twin and younger sister a few years prior. I have been through addiction, severe depression, tiredness, weakness, I cannot concentrate, I am always paranoid something bad will happen again. I have negative thoughts, I feel at points I’ve lost all hope, anxiety, so many dark thoughts whereas I want to see light in my life and help to heal with St. Gemma and the lord. I have never been deeply religious but I know in my heart prayers can help me rid these dark energies surrounding me. Pray for me, Michelle Cordova- Wallace. If anyone has any help they can advise me please email me @ LoveMichellecourtnee@Gmail.Com. Thank you all and god bless. All these medical problems my back spine and stomach ' chest pain . Please pray for some measure of recovery for my husband’s back. He was blown up many years ago while serving with the army in Vietnam. His back is almost entirely fused and while not pain free, at least he was mobile. He has recently injured the portion which is not fused. Please pray that this will heal without surgery and even if he can’t be pain free, please St. Gemma return him to some measure of normalcy. Thank you.